ABOUT a month ago, this writer argued that Malaysians are slowly shifting away from buying motorcycles and entry-level cars to mid-range ones. It appears that as income rises, the marginal propensity to consume is higher than to save. Malaysians seem to prioritise lifestyle needs and, as far as car ownership is concerned, perhaps roadworthiness as well. Besides, most Malaysians live miles away from their workplaces, which explains why everyone feels the need to own a car. Since car loans represent a significant portion of household debt, car prices remain a sticky issue to most Malaysians during the election season. The financial burden of having car loans is compounded when comparison is made with other countries. Interestingly, both sides of the political divide are promising lower car prices, but the road ahead seems bumpy. Are Malaysians at a crossroads when the debate shifts to the way forward about lowering car prices? To be fair, car prices today are actually “lower” than before. This is largely due to the steady rise in household income of all groups since 2009, although its effects may not be uniformly felt. To illustrate, an entry-level Perodua Myvi costs about four months of household income of urbanites in Kuala Lumpur in 2016 compared with 10 months in 2007. Similarly, a basic Toyota Vios is now priced at about seven months of household income in Kuala Lumpur compared with 15 months in 2007. Car prices have been trending sideways since, say five years ago, partly due to savings in taxes following the introduction of the Goods and Services Tax (GST) in 2015. The rises in household income and GST are inadequate to make cars be priced at a more “acceptable” level. Most Malaysians would argue that the most effective way to reduce car prices is by slashing excise duties. While the solution may be theoretically possible, this writer is not thoroughly convinced about the practicality of such move. Granted, excise duties represent a significant percentage of final car prices. So, it is not unusual for Malaysians to assume that reducing it will greatly decrease on-the-road car prices, assuming that dealers choose not to turn the savings into profits. There are reasons why reducing excise duties is not the way to lower car prices. OTHER government charges (road tax, inspection cost, traffic summons and licence plate). So, obviously, it would structurally change other related policies as well. Secondly, without such revenue, the government would have to review grants and incentives given to national carmakers. In practice, this is given to minimise the manufacturing cost of carmakers. Worst still, if grants and incentives were to remain as is, it will be done at the expense of these manufacturers producing cars at high unit cost. It is no exaggeration to say that national carmakers have been operating in an inefficient manufacturing ecosystem for decades. Since the Malaysian automotive market has arguably reached a plateau, this writer would anticipate that reducing excise duties makes little economic sense without the national carmakers having a sound export market. Thirdly, as stated earlier, excise duty reduction would have to accompany an end-of-life vehicle policy to disincentivise consumers from holding on to cars longer than they should. This is important as higher technology would make our roads safer, but the old ones affect roadworthiness from various standpoints. That said, the ownership cost of holding on to old technology should go up in time. This is a tough call for the government, especially when dealing with car owners in the B40 income group. So then, for excise duty reduction to work, national carmakers would have to produce and sell more cars. This can be tricky for a company such as Proton, whose sales have been dwindling since 2011. National carmakers would also have to compete with foreign brands that are beginning to see a growing market share in Malaysia. Honda Malaysia has been selling more cars than Proton for the past two years, and its market share should be half of Perodua’s as of last year. Besides, national carmakers have no share in right-hand drive traffic markets whatsoever, which makes it harder to achieve greater economies of scale. Trade barriers in export markets are usually very high. 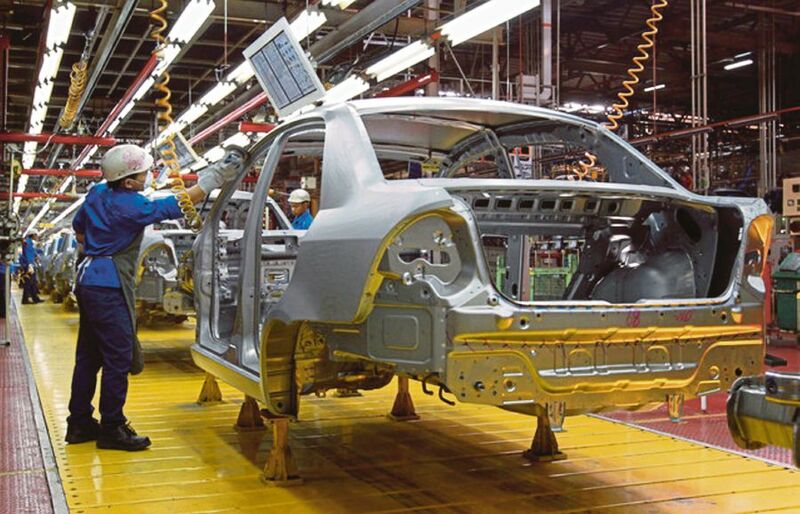 In many highly-regulated markets, export of cars is impossible due to high technological requirements and compliance. As far as lowering car prices is concerned, consumers are the clear winners, but the overall economic considerations should not be taken lightly. The only political call is to allow the national car project to operate beyond its “infancy” stage. After all, reducing car prices is not the question of what, but rather how.